In collaboration with BMW PUREBREED CYCLES unveils ‘The Brooklyn Project’: 40 bespoke limited edition café racers designed on the S1000R. Highlights - Classic café racer styling coupled with BMW S1000R performance - +15hp gain overstock - 24 kg. weight reduction - Quick-release customization for track day action - Orders being taken now for delivery in Spring 2016. 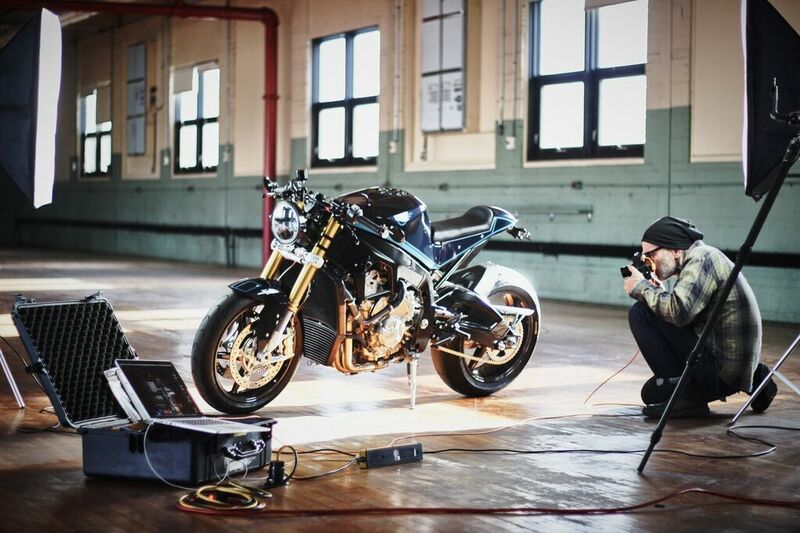 This collaboration will be limited to 40 custom café racers worldwide and based on BMW’s venerable S1000R roadster. While each unit will share the same mechanical underpinnings, every one will be uniquely crafted to the specific individual taste and requirements of their owner, making each model truly one of a kind. 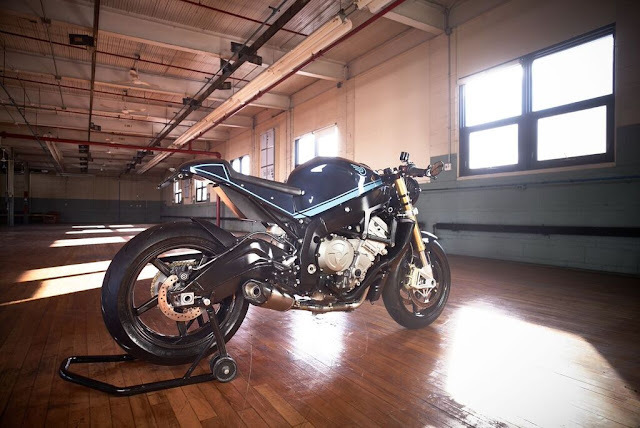 The Brooklyn Project blends the technological sophistication of the 2016 BMW S1000R with unique retro-inspired café racer styling. Painstaking attention to detail was paid and no component was overlooked. Every new part was digitally rendered then crafted using 3D printing technology prior to development to ensure the proper fit and finish was achieved. Adding to the bike’s individuality and versatility, various pieces can quickly and easily be removed for track day duty and clipped back on for the ride home. Modern Technology Meets Classic Style All of the stock bike technology was retained, including ABS (Anti-Lock Braking System), which can be disengaged, ASC (Automatic Stability Control), electronic suspension system, and selectable riding modes. Proprietary PUREBREED engine mapping and an optimized fuel injection unit helps increase the already lofty performance capabilities of the bespoke roadster, as did the addition of an aluminum racing radiator and oil cooler along with a full Arrow Competition titanium exhaust system. These various modifications result in an additional 15hp gain over the stock 160hp of the S1000R in a package that tips the scales at a sprightly 173 kgs. thanks to swapping the fuel tank, fenders, wheels, seat frame and cowl for lighter Carbon fibre. A great deal of time and attention was dedicated to comfort and ergonomics for both the street and track. This includes the incorporation of folding brake and clutch levers, adjustable rear sets, the custom designed top tree, clip-on handlebars, and a custom tri-density foam seat upholstered in fine, treated leather. While many of the customizations were based on improving comfort and performance, there were also many stylistic changes made in order to bring Brochu’s vision to life, including custom engraving, LED taillight and indicators in the handlebars, bar end mirrors, custom CNC gas cap and brake fluid reservoir, an Aluminum sprocket cover, custom LED headlight, dash and tachometer, not to mention the custom graphics and tri-coat paint by Simon Galarneau. Orders are now being taken with delivery expected for April 2016. The brainchild of Quebec-based custom bike builder Guillaume Brochu, PUREBREED CYCLES immediately started making a name for itself by breathing new life into old motorcycles. Crafting as many a 40 custom café racers since opening in 2012, Brochu has more recently set his sights on this new vision of creating the ideal performance motorcycle for the modern urban gentleman – one that exudes their individuality in comfort and style. About PUREBREED CYCLES: Featured on the 10 episode TV show currently airing in French on Historia in Quebec, Guillaume Brochu set out to build high quality bespoke café racers when opening his shop in 2012. 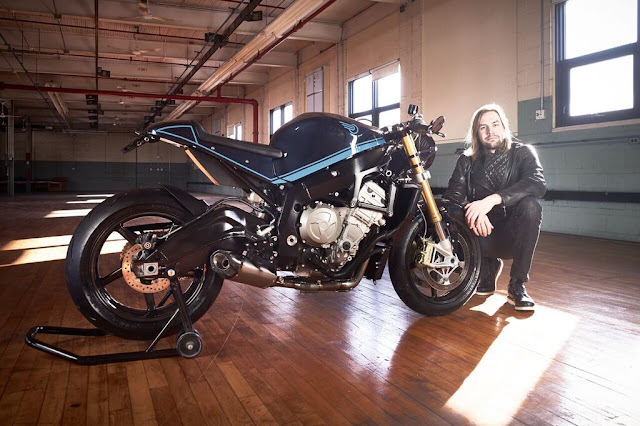 After building 40 custom motorcycles, his most recent undertaking is a collaboration with BMW Motorad Canada named The Brooklyn Project. Currently based outside Montreal with a workshop in Brooklyn, NYC is opening this spring. It’s the scope of the displays that is most exciting. It also is what is most intimidating. Where do you start? Will you be able to take it all in? Walking into Tradex is something like seeing gifts under the tree on Christmas morning. It’s difficult not to start bounding along like an excited ten-year-old, zipping back and forth from booth to booth, hungry to find out what’s new and interesting for motorcycling in 2015. First, my enthusiasm was curbed by the lack of something. As I approached the incredible new designs of Victory Motorcycles in the Polaris display, I discovered a distinct lack of an Indian Scout. “There are no B.C. 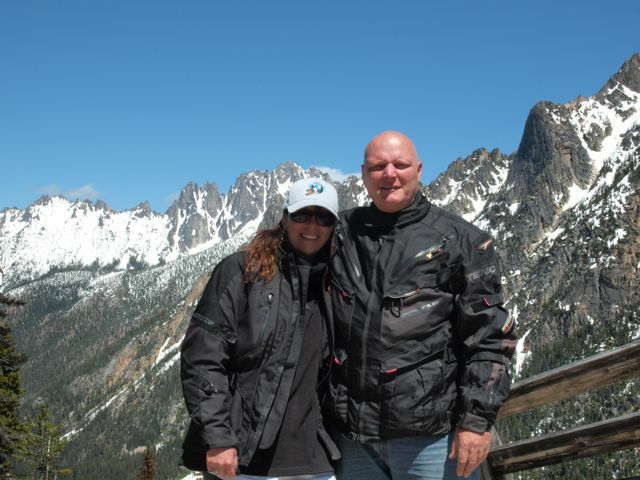 dealers yet,” Terry Fetter of Victoria’s Action Motorcycles explained to me. It would seem the cost of building up sales momentum for the new Indian models is too much west of the Rockies. “It’s just not worth displaying four Indian Scouts right now,” Fetter tells me. It would seem it’s going to be awhile before I’ll be sitting on an Indian Scout at the Vancouver Motorcycle Show. I tempered my disappointment with a visit to Ireland. Celtic Rider is just one of the many motorcycle touring companies at the show, a list which includes Compass Expeditions, Edelweiss Bike Travel and Renedian Adventures. I speak with Connor about who chooses to ride Ireland. “About 95% of our clientele are women,” he tells me. With tourism growing in Ireland, so it would seem is motorcycle touring. Each tour package comes with an “orientation” for those who are used to riding on the right side of the road. “Riding on the left is not a big deal,” he informs me. Further left down this great hall is a sea of orange. KTM has a display featuring what would not be the last of this sort of bike I would see at the show: the introductory motorcycle. The KTM 390 Duke looks a tight, durable little machine. And with an MSRP of $5499 and a dry weight of a little over 300 pounds, it’s an affordable bit of orange. What’s new with Suzuki? Well, as one rep put it: there’s the compact GSX-S750, a streetfighter influenced by supersport models like the GSX-R750, or for the ADV crowd, there’s a revamping of the DL-650. The Suzuki V-Strom 650X features spoke wheels and a “beak” out front. 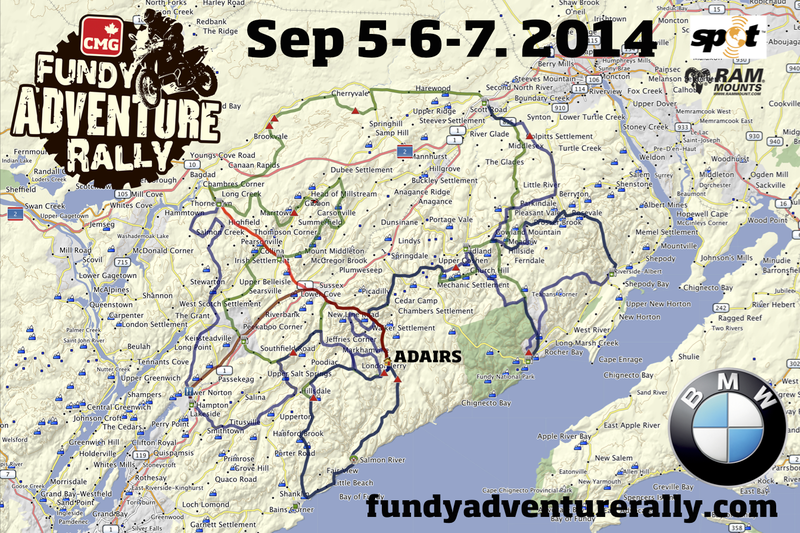 Does that look like another large adventure bike we know? It comes in “Candy Daring Red” and “Metallic Mat Fibroin Grey”. The Yamaha section is the most impressive for me, with the large red symbol hanging from the ceiling. What’s also red, and new, is a YZF-R3. I watch as several nervous young lady visitors try to straddle it. And I think that’s what Yamaha may be thinking with this new lightweight sportbike: find the new and upcoming riders. It looks like an R6, but the 321cc engine will be easier to handle for those just being introduced to motorcycling. I speak with Clinton Smout, who writes a column for Motorcycle Mojo and appears on “Motorcycle Experience” with Dave Hatch, as we both eye the R3. He tells me his eighteen-year-old son is entering the motorcycling market and if he is thinking about getting an R6, he would tell him to think twice and consider an R3. Good fatherly advice there. At an MSRP of $4999 the R3’s a little easier on a young adult’s budget too. 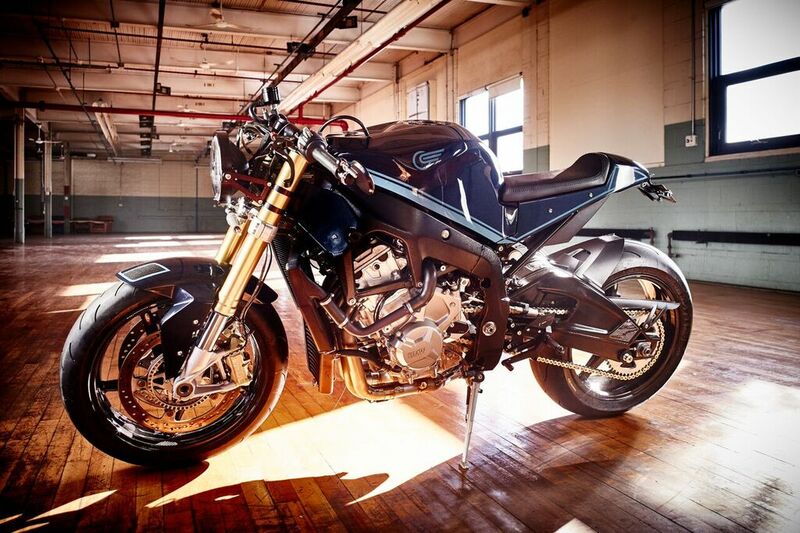 He points over to the new ADV option from Yamaha, the FJ-09, billed as a sport-touring model taking after the FZ-09. It’s not an off-road capable bike, but it certainly seems Yamaha’s trying to corner the ADV lifestyle market with this one. what is developed in an electric bike model for the motorcycle market to be seen at next year’s show. Of course there are many other bikes to mention: Ducati’s 821cc slimmed down and much more affordable Monster, the increasingly “rough road capable” Honda CB500X looking to rival other sport touring models in its class, the more rider-friendly yet torquey BMW S1000RR, and, of course, the eagerly anticipated Kawasaki Ninja H2, cordoned off behind restraint straps as though its 1000cc supercharged engine is about to break free from its cage. These are all impressive. But I choose to round off my visit to the 2015 Vancouver Motorcycle Show by meeting some of the adventurers that take motorcycles to their limits, live to tell the tale and write about it. 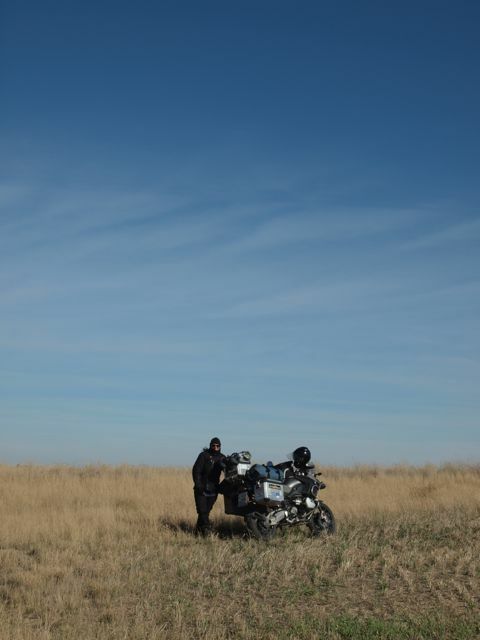 Jeremy Kroeker wrote “Motorcycle Therapy”, a true story about his adventure on a KLR650 into Central America. His new book “Through Dust And Darkness” has done well critically. He tells me it’s not easy being an author, but he’s happy for the success of the latest book, which chronicles his motorcycle travels through the Middle East. A down-to-earth guy, he signs a copy for me on the spot. company while traveling by motorcycle. So, if I were to find overall themes that emerge from this year’s show, they’d have to be a trend towards manufacturers seeking to dominate the beginner motorcyclist market and continued growth, and fusing styles, in adventure motorcycles. Next year though, electric motorcycles, and the discussion they create, could be more of a focus. The show sure does what it’s billed to do though…make me excited for the upcoming riding season. You may remember Scott and Wanda from a previous article we did back in January 2011; they bought a BMW motorcycle and did a trans-Canadian trip in 2010. A trip of 22,855 kilometer's is bound to include some adventure and Scott's story telling and enthusiasm make it an enjoyable read. Since that first contact Scott has put together a book about the journey and is looking for a publisher. The completed manuscript came in at 145,500 words and they've shared the first couple of chapters with us and allowed us to republish it. The ‘Wreckhouse Winds’ hammered us like invisible rogue waves that rolled in from the forlorn Long Range Mountains. They crested the mountains, channeled in valleys and spilt onto the plain where they gathered force before breaking upon us. They were without doubt the strongest winds I had ever ridden through. The landscape was absent of the usual trappings of life, the wind was too strong for such things. It was barren yet beautiful in its austerity. The road before us was not a tricky one, there were no potholes, no off camber corners, no construction, gravel, or semis to get in the way, only the wind and rain. 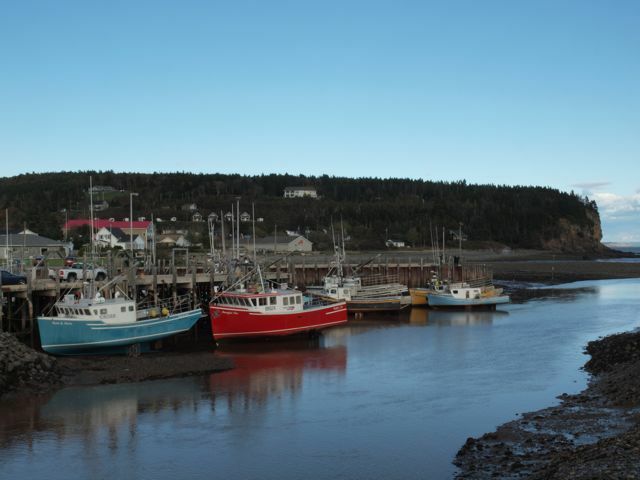 It was a simple piece of blacktop that ran from Port aux Basques in the south and headed north for three hundred kilometres to Deer Lake where it veered east for another six hundred before arriving in St. John’s Newfoundland. It wasn’t tricky, but is was long. Setting off from Tofino, British Columbia on July 1, we had been on the road for ninety- five days. A day away lay our goal, to watch the sunrise at Cape Spear, the most easterly point in North America. It was a simple goal to be sure, yet one on the opposite side of this great country we call Canada. As we hammered along that goal was all that mattered. The battle with the wind was wearing on us, the muscles in my shoulders had begun to knot, and my chest was tight. I clenched the gas tank with frozen knees, and clutched the bars with head bent into the wind while Wanda clung fiercely to my waist. Our motorcycle, ‘The Muskox,’ relishing the challenge charged on obediently. This wasn’t the beautiful Sunday ride that motorcyclists endure the week for. This was an unadulterated rodeo of white knuckle madness. The excitement and fear was delicious, the worse it got, the more things tingled. The rain pounded us from a dark malevolent sky in a near horizontal manner as the wind shoved, pulled and bullied us as we barreled through natures garden. We had been on the road less than an hour and the experience was slowly coalescing into one that I knew instinctually to be a summing up of our trip. There is a time during every endeavour when a moment of clarity presents itself, for good or bad. A moment when the inner acceptance that we will succeed, or fail, is finally acknowledged and the corresponding emotions wash over us. Our moment was approaching on that road in October on ‘The Rock’ as Newfoundland is fondly called. We were fully exposed with nothing to dull the event, as though our clothes had been torn away. We became like the landscape around us, determined, unflinching and unapologetic. It was a simple world, The Goat, The Bull, and The Muskox on a road with the weather. As if in slow motion our moment came and in that moment we became pure of purpose, one singular focus. There was no respite, no shelter, no question of stopping, only a road that led to our goal. All doubts, fears and unanswered questions had been collected up and slid into a drawer out of sight. The fact we had to make the return trip once the goal was attained, that we were almost out of money, that Wanda was still in her journey with health issues, that our relationship was somewhat strained and that we didn’t have a clue to what was waiting for us when we returned home, was all of no consequence. In that moment, all that mattered was the road ahead and a sunrise at Cape Spear. I was fleshing out an idea for a book on Canada and thought it would be good research. The memory of the ceremony has about the edges but the significance and emotion that filled the room that day will stay with me forever. There’s something to be said about the ‘last step’ of a process. To arrive at the end of something is a sweet thing as it marks completion, but it also marks the beginning of something new. The Citizenship Ceremony was no different. It marked the last step in becoming a Canadian Citizen. It is where the oath of citizenship is taken and the certificate of citizenship is received, and it’s where new citizens begin their journeys as Canadians. at the beginning of the ceremony. It was a nostalgic way to set the scene. The room was full of citizens watching from the rear as those about to be sworn in stood at the front. Outside the sun shone as Canada celebrated it’s 135th birthday while inside it welcomed this new collection of people from around the world. The ceremony was a simple event. I watched attentively with my friend Gene as the event unrolled and I studied the faces of those about to take the oath. It was obvious emotion touched everyone in the room. Shoulders trembled, throats were cleared and eyes were dabbed. A sense of focus permeated the gathering. My mind was racing with questions as I wondered what their stories were. Life changing decisions had been made a world away and commitments taken to leave a life behind. Familiar landmarks and events had become memories, schools, mountains, shores, churches, festivals, and neighbors had all been cast adrift in pursuit of a dream. They wanted to be Canadian. Why had they chosen us? What set us apart? What made us the focus of their dream? Why Canada? It was evident from the dress and skin tones of those in the room that they were a cosmopolitan group. Their points of origin were clearly different, yet they shared a common goal. Why had they chosen to leave their homelands, their jobs and perhaps their families. There were the obvious reasons such as persecution and war, but as I looked around the room it was obvious that some came from countries that offered what we offered, well heeled countries seen as our peers, and yet still they were here. When the oath was finally taken as a group the mood in the room transformed from nervous anticipation to jubilation as backs were slapped, hands were shook and cheeks kissed. They were now Canadian and in that moment I’d witnessed their dreams come true. I will never fully understand what happened in that room on July 1, 2002, how could I? I’d never experienced what our newest citizens had journeyed through to become Canadian. Their journeys were their journeys, each unique in their own way and another reason I’ll never know is because I was born right here, just down the road at Burnaby General. I was already a member of the club, Canadian by birth. I thought about it and came to the realization the closest I’d ever come to that kind of life changing event was when my mother chose to leave Canada when I was ten. In the summer of 72 she’d walked away from the country of her birth, and even though it had been her decision and not mine, I went along for the ride. That had been a life changing decision for her and just as the lives of those at Canada Place had changed on July 1, so had mine when my mother chose to leave Canada. Until that time we had been a typical Canadian family, living as Canadian families do. We lived on Tecumseh Park Drive in Port Credit, Ontario, in a lovely house on a rather large piece of land. We knew all the neighbors and for better or worse they knew us. I walked or biked to school in the summers, bumper hitched in the winters, and if I had time during lunch break I’d watch the Flinstones. I had a ‘Chopper’ bicycle, an impressive collection of ‘Hot Wheels’ and ‘Dinky toys,’ played in a tree house in the back yard and chucked rocks at passing trains from the park at the end of the road. I was an average kid in an average Canadian neighborhood. Around my tenth birthday, my mother, who was experiencing some personal turmoil disappeared for a month on holiday. She disappeared a second time a couple of months after that and when she returned the second time a sign went up on the front lawn. The sign filled my head with questions but as a 10 year old I didn’t have the where-with- all to ask the right ones. Instead I watched and towed the line. Recently, while writing this book I asked my mother why she’d made the decision to leave her beautiful home and life behind. She’d thought about it for a second then said, “I needed to find solace.” “Why the Isle of Man?” I asked. “Because I didn’t know anyone there,” she replied. She didn’t know anyone there...well, either did I. I didn’t know where it was either. Didn’t know where England was for that matter, or Europe, I was 10 years old. All I knew was I had to sell my toys in a garage sale and say goodbye to my friends. I soon learned the Isle of Man was a small island in the Irish Sea lost between England and Ireland and at 32 miles long and 14 wide was big enough to make it onto some maps, but not all. A plane skipped us across the Atlantic to London, England, then another, a Vickers Viscount prop job took us the last leg to Ronaldsway Airport in the Isle of Man. For a ten year old it seemed like a long way to go and indeed it was. We weren’t ‘relocating’ to another province, we were trading one life for another. My mother was 46 at the time and had decided to move to the Island and take my brother Kevin who was 15 and myself. My two eldest brothers, Tony and George remained in Canada. As our new adventure began to unfold the first thing I noticed when we arrived on the Island was that everything was different. Everything was older, smaller and seemed more expensive. From the black cab that waited at the airport to take us to our new life, to the way in which the locals talked. ‘Ta,’ meant thank you, ‘Tura,’ was goodbye and ‘Dumbell’s Row,’ was a row of houses sewn together at the hips down in Laxey Valley. The houses were an unusual collection for us Canadians who were used to yards, but normal for the locals. The front ‘whitewashed’ stone wall crowded in on the sidewalk next to the road and rambled into the distance. It was evenly punctuated by vacant windows and doors painted different colours and sitting on their dreary grey slate roofs were chimneys that billowed black smoke into the sky from coal fires below. It was like a steam train convention. Dumbell’s Row sat like a grandstand that looked across the valley toward ‘Lady Isabella,’ a red and white water wheel 72.5 feet in diameter! It had been built in 1854 to pump water from the lead mines and now turned on it’s axle in the summer to give tourists a show. In the winter it was shut down so my buddies and I would jump the barrier and climb inside and run up it as far as we could and grab a spoke and hang on to get her going....and get her going we did, like mice running inside a 72.5 foot water wheel, all because we could! My mother hadn’t bought a house, she’d bought a cottage, or to be specific, two cottages mortared together on Old Laxey Hill. The ‘newer’ addition was two hundred and fifty years old while the original had a century on that. We lived in the ‘modern’ half and in time it became known as ‘Rose Cottage,’ as my mother’s name was Rose. The older cottage was used as our motorcycle workshop. The stone walls were 18 inches thick and there was a coal burning fireplace in every room except mine. The ceilings were 7 feet tall with exposed black beams supporting white plank flooring above. The persistent rain was kept at bay most of the time by a slate roof though basins peppered the upper landing as a last line of defense. I was given possession of the smallest bedroom. It was the only room in the house without a fireplace, instead, I took possession of my very own water cistern. It hung on the wall like a growth and would talk to me in the middle of the night whenever someone had to use the facilities. There would be a loud long ‘sputshhhheeeeeeee’ that would eventually taper into an uneasy silence punctuated by the occasional drop of water as the float decided whether it was time to call it a night or not. The ‘loo’ was usually up to the job but if we had company there were always the two pull chain toilets in a structure outside next to the coal bunker. It was damp, puny and an absolute blast, and that was just the inside! Outside it was still damp but as my mother joyously pointed out on numerous occasions there were palm trees. “Gulf Stream,” she’d say proudly as though she’d had a hand in bringing it to the Island. It used to make me laugh, yes there were palm trees, but any resemblance to Florida and the Gulf Stream ended there. The water was so cold that during our annual Darbyhaven half mile school swim each of us slathered our bodies in a couple pounds of lard to insulate us from the anesthetic shock of the pretty waters offshore. There were Medieval Castles, Viking festivals, roundabouts, weird cars, kippers (smoked herring), Loghtan sheep with 4 or 6 horns, Manx cats with no tails and lots and lots of motorcycles and motorcycle races. We didn’t get forty channels on TV, the Manx had whittled that number down to three which dwindled to naught after midnight. Instead, we had a new landscape full of weird and whacky things to poke the imagination with. Imagine driving to school in Castletown and passing a section of road where the trees from opposite sides leaned toward each other and shook leaves above to form a tunnel. The section, marked by whitewashed rocks on either side, was called the ‘Fairy Bridge.’ This was the place where the ‘Little People’ hung out, the Fairies, and it was custom to bid them a good day on passing by, or, as superstition went, some misfortune might befall you. I happily played along and with a smile would say, “Ee vi vonny veg,” which translated to “Good day little Fairies,” as I passed by the Fairy Bridge. They didn’t get the Flinstones on the Island, they didn’t need them for they had Fairies, witch hunts, and the Moddey Dhoo, a large black dog that had killed a guard and haunted Peel Castle back in the day. The Isle of Man turned out to be a very special place as amongst other things it was a breeding ground for active imaginations. As our time on the Island progressed I couldn’t help but compare the life I’d left in Canada to life on the Island, there was so much difference it couldn’t be ignored. Life in Canada had been glorious, of that there was no doubt. It had been well laid out and structured with slots where everything fit nicely. From the shows we watched on T.V. to the cars on the road and the construction around us, everything had a uniquely Canadian, or North American form to it. That form had become part of us and as the years rolled by our die had been cast. But the Isle of Man had a very different form and even at ten I was not too young to come to the conclusion that there was more than one die. I realized all things weren’t the same. The Island was old, very old, it had a thousand year old parliament, that’s right, a thousand years. They were implementing laws when Canada was still bush. To move from a house that was twenty years old in Port Credit, to a cottage that was older than Canada is something. To watch a motorcycle race from the same grassy bank on the same public road as spectators have since the days of the Ford Model T is something. To ride on a narrow gauge steam train dating back to 1874 as a regular means of transportation is something. I was experiencing things that I hadn’t or couldn’t in Canada. Why was Rose Cottage built the way it was, or Lady Isabella for that matter. Why was her wheel 72.5 feet in diameter as opposed to 75, why a wheel, why not a steam pump. Why were there cats with no tails and why the hell were those houses called ‘Dumbell’s Row?’ Why not, ‘Ham and Egg Terrace!’ Subliminally the move to the Isle of Man was effecting me in a profound way as it was changing the way I saw things. I started to look at them from more than one angle which in turn led to a greater understanding and appreciation of what I was looking at. I stopped chucking rocks at trains. Eight years later I returned to Canada to attend McMaster University in Hamilton, Ontario. I dropped out a year and a half later, something inside was resisting, I felt like a round peg in a square hole. My mother’s decision in 72 had irrevocably changed my path in life, just as those at Canada Place on July 1 surely had changed. My journey had been disrupted and now there was a restlessness inside me that couldn’t be ignored. I bounced out west and worked in Banff for a while before bouncing back to the Isle of Man to watch my brother race motorcycles. From there I hopped a ferry to France where I signed on for a five year stint in the French Foreign Legion. After that I put my training as a combat diver to use in South East Asia as a deep sea diver for almost a decade. It was there, in Singapore, that a diver buddy told me of a place called Costa Rica. Costa Rica. It had a nice ring to it. I looked it up on the map and thought it might be an interesting place to open a dive shop. I flew to Los Angeles to buy a motorcycle and head south to check it out. Apparently there were some sweet deals on Suzuki's in LA but they didn’t pan out so I looked up the local BMW shop. I hopped a cab to Torrence and walked into a small shop and was sucker punched. I’ll never forget that day as it was the day I was handed the keys to a new adventure. When I’d walked through the door a lovely red R100GS sat in the centre of the showroom floor, I’d seen many before but never from the perspective of buying one. It was still ugly and unassuming, just as I knew it would be. Looks aside though, it was a bike I’d hankered after for many years and I knew it’s story well. It was the bike that Belgium rider Gaston Rahier had demolished the competition with and won the famous ‘Paris Dakar Race’ in 84 and 85. Posters of him ripping across the desert in full flight on the GS had stirred my pot for some time. You expect to see camels in the desert, not motorcycles blazing through barren landscapes leaving rooster tails of sand reaching for the sun. They were magnificent posters that would stop me in my tracks every time. Since those victories the R100GS had gone on to conquer every Continent around the globe many times over. This time the bike received my full attention, I could’ve been a doting parent. I poked and prodded and admired it’s functionality for that’s what it was famous for. In all honesty there’d been nothing beautiful about it, it was typically German, all business and efficiency, but what efficiency it had. It was the Swiss Army knife of motorcycles, it could do it all, mud, sand, tarmac, gravel, it didn’t matter what your preference, it would find a way to get you to the other side. I imagined some adventurer tooling through a remote village in Africa on a bike just like that. I closed my eyes for a second and thought about it, a man and his machine in the wild, when I opened them I realized I’d always wanted to be that man. Life was full of adventure, why not on a motorbike. I bought it fifteen minutes later for nine grand cash, the date was December 16, 1994. The nine grand paid for the bike and a BMW promotion gave me seven hundred and fifty dollars toward accessories. I returned the following day to pick her up and wearing a new bright blue Thor Enduro Jacket I rode out the door and headed south without an inkling of what to do or where to go. All I knew was Costa Rica was down there somewhere. I returned two and a half months later with 13,500 miles on the clock. The beginning of a beautiful relationship had been established. 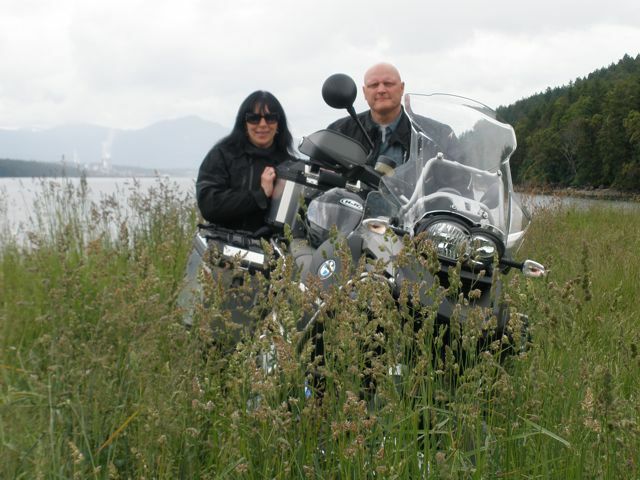 My ‘Beemer,’ as BMW motorcycles are called became my sidekick and friend. We went everywhere together, she never turned down a challenge and more importantly she made sense. She had one purpose, to explore, and that suited me fine. My time in South East Asia was over, I had circled the globe and was now back in North America. I didn’t realize it at the time but subliminally I was slowly gravitating my way back to the beginning. I paused for a while in Los Angeles and wrote a script with aspirations of becoming the next Sylvester Stallone. I shopped it around for a while and a year and a half later piled my unwanted efforts into a dumpster, put my Beemer in storage and left. That was sixteen years ago and today my Beemer sits in the basement. One of my brothers suggested I sell her, but I couldn’t. It had taken me on that first trip to Costa Rica and subsequently across the States, to the Yukon, Alaska, the Arctic Circle and around town a couple thousand times. The odometer had stopped working at 60,000 miles, we had history and yarns to share. Every time I glanced at her she whimsically took me back to an exotic destination we’d visited together, like the Mayan ruins in Tikal, Guatemala, or the Grand Canyon in Arizona or Diamond Tooth Gerties in Dawson City, Yukon. There was so much history, how could I possibly part with such nostalgia. At one point our bond had become so strong that an idea had formed in my head. Wouldn’t it be cool to ride across Canada and write a book about the adventure. The idea stuck and the first stages of planning were taken when I applied for and received a personalized Yukon license plate that read ‘MUSKOX.’ I liked the idea of ‘The Muskox,’ there was something about the hairy creatures that roamed the far north that intrigued me. I think it was their upside down horns that first piqued my interest and any animal that could survive in the Arctic deserved a closer look. What a hardy beast, just as my Beemer was! The more I researched them, the more the excitement grew within me. I found out they were not part of the buffalo family as I’d originally thought but were relatives to the goat. The Inuit call them ‘Omingmak,’ or ‘the bearded one,’ because of their shaggy hair. They impressed me, they were cool, dignified and ungainly in an offbeat kind of way....and nomadic by nature....kinda the way I saw my Beemer, and myself for that matter, except for the ‘cool’ part. I pictured riding across Canada on a Muskox. The concept appealed to me. A book about a Bull, (I’m a Taurus, born in May) and a Muskox ripping across Canada. I decided the title of the book would be, ‘Trans Canadian Muskox!’ The pages flew off the press that rattled in my head. A decade has since passed. The rattle is still there. BMW Motorrad is pleased to introduce two premium vehicles in the maxi scooter segment. The BMW C600Sport and the BMW C650GT combine the outstanding riding characteristics of a motorcycle with the agility, weather protection and comfort of a scooter, creating a whole new dynamic riding experience. The two BMW maxi scooters appeal to a wide target group: the C600Sport for riders with sporting preferences, and the C650GT for customers who place great emphasis on comfort and touring capability. Both BMW maxi scooters incorporate the unique, modern and dynamic design language of BMW Motorrad, setting a new benchmark in the scooter segment. Powerful 2-cylinder inline engine with CVT. The 2-cylinder water-cooled inline DOHC four-valve engine of the C600Sport and C650GT is an all-new development by BMW Motorrad with a displacement of 647 cc. Both models are equipped with electronic fuel injection and have a class-leading output of 60 hp at 7500 rpm, with maximum torque of 48.7 ft-lb at 6000 rpm. With its cylinder bank inclined forward 70°, the compact engine contributes to a low center of gravity, while its 90° crank pin offset, 270° ignition spacing, and two balancer shafts minimize vibration. Lubrication is via a double oil pump dry sump and the stainless steel exhaust system incorporates a closed loop catalytic converter and oxygen sensor. Power is transferred via a directly integrated CVT transmission with an automatic centrifugal clutch and a maintenance-free secondary chain drive running in an oil bath. Responsive suspension and exceptional riding stability. One objective in the development of the C600Sport and C650GT was to combine directional stability at highway speeds with agile handling in city traffic and vivid feedback to the rider – just like a motorcycle. The design of the C600Sport and C650GT suspension features a torsionally rigid hybrid interconnection of a tubular steel bridge frame and a diecast aluminum unit at the swingarm bearing with the engine functioning as a load-bearing member. At the front, an upside down fork presents a generous fixed fork diameter of 40 mm. The rear employs a reclining spring strut on the left side. Spring travels are an identical 115 mm. Both the C600Sport and C650GT roll on a 3.5 x 15“ five spoke diecast light alloy wheel fitted with a 120/70-15 tire. The 4.5 x 15“ rear wheel is fitted with a 160/60-15 tire. Powerful braking system with standard ABS. The new C600Sport and C650GT are fitted with duel 270mm disc brakes with double-piston floating calipers at the front and a single 270mm disc with double-piston caliper at the rear. BMW Motorrad dual-channel ABS is standard equipment on both models. A separate rear caliper parking brake is automatically engaged on deployment of the side stand, ensuring stability when stationary. The instrument cluster of the C600Sport and C650GT presents a large, easily readable LCD display with integrated tachometer and analogue speedometer. In addition to the standard complement of fuel level guage, clock, and grip-heater level indicator, an on-board computer, standard on both models, also includes functions for monitoring exterior temperature, fuel consumption, oil level, average speed, date, and (optional) tire pressure control. Unique Character for each model. - The C600Sport employs a more dynamic seat position with flatter handlebars, sporty seat design for both one and two persons, and sporty footrests for the passenger; seat height 810 mm. - The C650GT seat position emphasizes comfort with higher handlebars, more comfortable and larger seat with adjustable backrest for the rider, and foot boards for the passenger as well; seat height 780 mm. - C600Sport - manually adjustable to three positions. - C650GT – electrically adjustable over 10 cm for even greater comfort and protection from wind and weather. - C600Sport – sporty and spartan panels. The lean rear flanks with dynamic upswing and emphatic body edges emphasize lightness and dynamics. - C650GT - generously sized panel parts for outstanding comfort and protection against wind and weather. - C650GT - front turn indicators integrated in the mirrors, twin circular headlights with side lights between them presenting a vertical light strip of three elements, LED rear light cluster with integrated turn indicators. - C600Sport - with world premiere FlexCase/variable stowage space concept in the tail under the seat. Despite its sporty, spartan tail section, two helmets can be easily stowed in the parked vehicle. - C650GT - large stowage space of about 60 litres in the rear, also accomodating two helmets. The luggage compartments share LED lighting and can also be equipped with an auxilliary power socket (accessory). Pricing for the new BMW Maxi-Scooters will be announced in spring of 2012. The C600Sport and C650GT will reach BMW Motorrad dealers in fall of 2012 as 2013 models. The Goat, the Bull, and the Muskox. 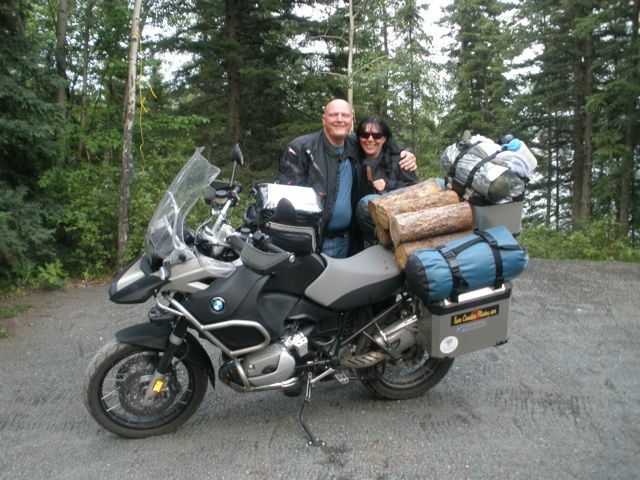 "We received an email from Scott - one half of the "Goat and the Bull" and decided that we needed to post a story about these Canadian motorcycle adventurers with you! The plan was to buy a BMW and do a trans-Canadian trip in the summer of 2011. Those plans changed when health concerns arose with Wanda; they moved the trip up to the summer of 2010. They've got a message for you! On July 1, 2010 we locked the door to the house, saddled up the Muskox and took off for Cape Spear. Everyone has a bucket list and a trip across Canada had been on ours for quite some time. One hundred and fourteen days, 22,855 kms and six time zones later we returned home to Gabriola Island, British Columbia. It had been a sweet blast for Wanda and myself that gave us a true insight into just how great and beautiful this country is. We often hear folks discuss travel destinations to 'exotic' places abroad...and yet we, as Canadians, probably possess one of the greatest, most exotic travel destinations on the planet. A good road trip requires 3 basic ingredients, roads that beg for more right wrist, scenery that pries your eyes from where they’re supposed to be and folks that relish swapping stories at the end of the day over a cold beer. The roads we covered, and there were quite a few, equal anything anywhere, from winding black top through mountain and vineyard in the west all the way to ancient trails that connect fishing villages in the east. There is a road here for every taste, every level of experience and every notch of commitment from the weekend affair to the long distance relationship. One simply chooses the kind of riding they want then consult the map. 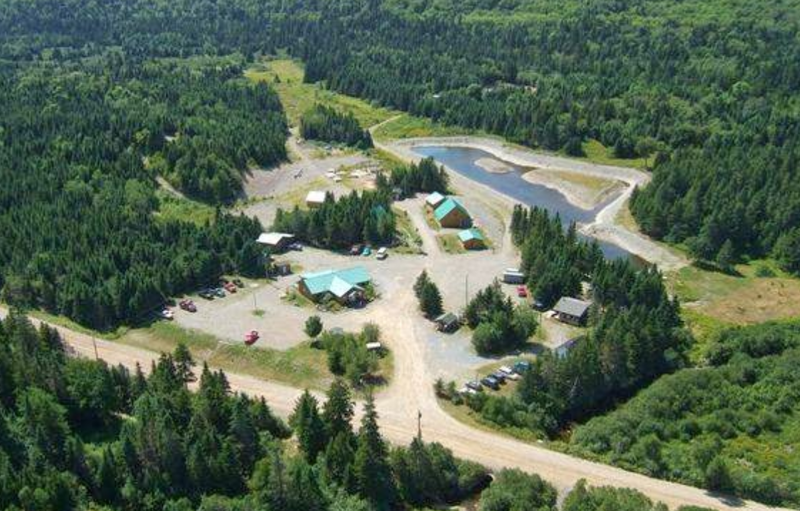 As for scenery, a thousand people snapping photos of Lake Louise can’t be wrong and if the throngs crowd in on you, there’s always a camp site at the edge of the world at Meat Cove on Cape Breton Island where you can watch the sun rise in a Zen like state. Somewhere in between are ethereal lakes in Ontario, UNESCO World Heritage sites such as Quebec City and Lunenburg or the peace offered by the wide open Prairies. This is truly a stunning country and there is a landscape for every appetite. At the end of the day new friends can easily be made, we are Canadian after all. Whether it be in the longest running bar in Western Canada (according to the locals) such as the Woodbine Hotel in Winnipeg where patrons run for cover at the sight of a camera. “You don’t know who’s with who’s wife,” a man explained to me after I put the offending piece of equipment away, or a camp site in Bakers Narrows where the couple across the access trail offered us their axe, paper and kindling to get our fire going. Canadians are indeed friendly by nature and though we may be mocked by others for that, we quite enjoyed the fact that we didn’t feel any apprehension in approaching others, or in turn being approached by them to share an amusing anecdote or find directions to the nearest Tim Hortons. That is a beautiful thing. Throw in fascinating history, unpredictable weather, beautiful beaches, good food, cold beer and relatively tolerant police officers during our times of indiscretion and this is, in our humble opinion, the 'chosen land'! On that note, Wanda and myself would love to invite you to our site, www.transcanadianmuskox.com to share in some of our stories, photos and videos from our trip this past summer. Most of all, we encourage you to 'get out and do it'! Scott and Wanda aka the Bull and Goat....and yes, our beemer is the Muskox! P.S. Keep an eye out for the book, ‘Trans Canadian Muskox. A special journey with The Goat, The Bull and The Muskox’. 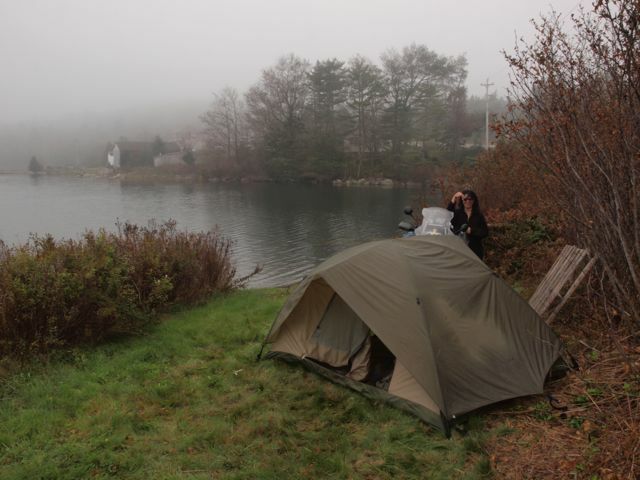 Here's a few of the fantastic photo's taken on the journey across Canada followed by a video clip! And a few more photo's for you! Atlantic Motorsport Park - 2010 Parts Canada Superbike! Atlantic Roadracing League was host to the Rounds 6 and 7 of the 2010 Parts Canada Superbike races this August 5-8, 2010. We were there last year and certainly didn't want to miss the action again this year. It seemed that the crowds were a little thinner than last year but that just made for a better spot on the concrete wall for me! The weather was beautiful and sunny - warm - but not quite as warm as last year. That's a good thing - it was sweltering last year. This year I got to test out my new camera. Now the photo's should come with GPS coordinates built in to the photo EXIF data. Pretty cool. Not nearly as cool as the racing though. If you haven't been out to a race - you really should go check it out. You will truly be amazed at the speed. They hit 190 KM/HR + at points on the track. It's a pretty impressive thing to see! This was the first time I got to see the BMW S1000RR in action and it didn't disappoint; BMW took two of the top three spots on the podium. Amazing bikes! We took plenty of shots of the motorcycles in the pits, and on the main stretch, not to mention some of the spectator's rides. Plenty of bikes to be seen. Some people we'd like to draw special attention to at the race - Colin at www.MadFab.ca. He fabricates some really trick bike parts and tools right here in Nova Scotia. His presence could be seen all over the place at the races. Even on some racer bikes - like Todd Scott's. If you're looking for somebody to do some fabrication for you, or do crash repairs. Look no further. Colin knows his stuff! This year marked the third year for the Atlantic Motorcycle and ATV show in Moncton. Produced by Master Promotion, owned by the Motorcycle and Moped Industry Council (MMIC) and Canadian Off-Highway Vehicle Distributors Council (COHV) - the event appeared to be the popular spot for motorcycle enthusiasts to be in Moncton the weekend of Feb 12-14, 2010. I haven't heard about the numbers that came through but there were roughly 15,000 last year. I don't know that it was quite as busy as last year but if you're a fan of motorcycles you wouldn't have minded - it just meant it was a little easier to get through the crowds and there'd be a better chance you'd get to sit on a few more bikes. Most of the big manufacturers were there showing off their newest 2010 models. There were a few standout bikes for me; notably the new Honda VFR1200, the BMW S1000RR, a Ducati 1198R, and Patrick Trahan's Dakar prepped Honda. We took a few photo's and thought we'd share. More content about the show is coming soon. want in your garage. Go check them out. If you're in the market for a new BMW, Ducati, or Yamaha contact Troy Leblanc @ 506) 383-1022. Tell'em CanadianMotorcycleRider sent you! BMW K1300GT; A bit of a dull name for something that sets the high performance touring bar so high. One would think it deserves a name more fitting of its greatness! I guess it's tough to distill all the things that make this bike what it is into just one simple word, so K1300GT it is. Let it be known though that behind that name lies a bike that you can pretty much 'do it all' on - a short cruise around town or a trip across Canada; the BMW K1300 GT is ready for it. To tell you about all the features and technology packed into this machine would take a large book - we're going to hit what we feel are the highlights. If you want a simple bike without a lot of safety features or technology then this might not be the bike for you because this bike is packed with gee-whiz features. These gee-whiz features are not obtrusive; quite the opposite, they make this bike incredibly comfortable and safer to ride. Anything that keeps you comfortable and warm improves safety and control. As romantic as the thought of riding a hard-tail old-school bike with the barest of necessities is, the K1300GT is undeniably going to be a lot more comfortable and arguably a lot more fun if you plan on riding more than a couple hundred kilometers. Not the least hyped and discussed of changes for this new model is the change from BMW switchgear with its left and right activation and right side cancellation buttons. That previous system is gone from this new model and in its place you've got the traditional left side control for signals. I've been told by many BMW riders that you do quickly get accustomed to it - and it does still remain on many BMW models, but I find the right thumb cancellation and signal activation challenging to get used to. I find myself being a little less than smooth because I'm trying to get my thumb on the switches as I'm rolling on or off the throttle. No such worries on this model, there's no acclimatization period - things are just where you're accustomed to if you're coming from another brand. There are a quite a few controls on the left hand side now, but it still makes sense (to this rider at least) to place such frequently used switches on the side that's not already busy controlling the throttle. It's all well designed and labeled so riders should have no trouble with the switchgear despite all the options at their fingertips. Many may scoff at an electronically adjustable windscreen initially, that is, until you discover how incredibly useful it is on a touring bike, or any bike that you're going to hit the highway on for that matter. It was windy and gusty the day I rode the K1300GT and I was experiencing some buffeting - my head was shaking noticeably from side to side. Buffeting affects your ability to see properly, causes fatigue, and makes the experience of motorcycling, well, just a little less enjoyable. A quick flick of the thumb and I dialed in the perfect windscreen height to deflect wind blast so it just rolled over the top edge of my helmet and 5'10" frame. Buffeting gone! I tried adjusting the windscreen up and down slightly at various points of the highway stretch of my ride just to be sure it wasn't just a change in wind that was making the difference - no - the windscreen adjustment was definitely the source of the increased comfort. You have 100 millimeters (or near 4" of adjustment) at the push of a button. Brilliant! It adds some complexity and expense but you'll be spoiled after having this feature. The fairing on the K1300GT serves its purpose well doing an admirable job of protecting your body and legs from the elements. Knees tuck in nicely behind its angular shape. I didn't realize just how much wind was being directed out around my legs until I stuck my knees out to determine just how effective they were. I could barely feel the wind at all with my legs tucked in behind the fairing. Very nice! The frontal protection offered on this machine is substantial and would certainly make riding in unpleasant weather (ie: rain, wind, cold, or some combination of those) a little more enjoyable though. I did find that the pegs were back a little bit further than I was used to and on a couple of occasions I was hunting for the clutch with my toe - bumping the lower portion of the fairing. A minor issue that would no doubt disappear with a little more seat time. Speaking of the seat, this one is wide, comfy, and flat. It doesn't push you onto the tank at all. Seat height is easily adjustable by a mechanism under the seat and offers three settings. I was using it on it's highest setting. With my 32" inseam that height suited me just fine. The seat steps up for the passenger so they've got some space to move around without impacting the comfort of the rider. They passenger has some solid, integrated hand grips to hang on to as well. The grab handles have some adjustability front to back should you so desire. Behind the passenger is a plate that can be used to mount gear on when touring, or perhaps a top box. The K1300GT I rode also had heated seats - another very nice feature that helps boost comfort and extend the riding season a little. The rider and passenger have their own independent control over what temperature they want. The drivers control is on the right switchgear which the passenger control is a small switch located on the right hand side of the bike between the back of the seat and the gear mounting plate. The handlebars are adjustable for height and coming towards the riders body covering a range of 40 millimeters (almost 1.6") allowing you to easily customize the height of the bars to your exact preferences. The height of the handlebar is adjusted via a mechanical thread-and-bolt setting making it pretty simple and convenient. The K1300GT features a new 1,293 cc engine and a host of improvements over last years 1,157 cc model. The K 1300 GT boasts 160 hp at 9,000 rpm with 99 ft-lbs at 8,000 rpm. In addition, BMW claims that 80% of max torque is available as early as 3,500 rpm. Last years K1200GT produced a claimed 152 horsepower at 9,500 rpm and 96 ft-lbs at 7,750 rpm. I haven't ridden a K1200GT but I can tell you that this inline 4 is deceptively fast. It's not a feather light bike and it feels substantial when you sit on it or if you have to back it up in a parking lot but as soon as you're under power the weight disappears and the bike feels as nimble as a ballet dancer. It doesn't feel big at all. As one might imagine from BMW, the engine and drivetrain are delightfully smooth. One thing you'd better do is keep an eye on that speedometer or you might find yourself in trouble with the law. Highway legal speeds come and go very quickly, and comfortably, on this bike. 110 km/hr feels like a slow walk and there's plenty in reserve at that speed. The clutch shifts with ease and no big clunks as you notch it into place. It oozes quality and precision. A maintenance-free shaft drive ensures you won't have to worry about chain adjustments or dealing with lubricating a chain. Shaft driven pretty standard in this class of motorcycles. The BMW unit is anything but standard though. This is about the smoothest shifting and running motorcycle I've had the pleasure of riding. No doubt the hydraulically operated multi-disc wet clutch, and six speed synchromesh gearbox contribute greatly to this remarkable smoothness. The bike produces practically no dive under braking because of its optimized Duolever front-wheel suspension. The Duolever has a newly designed lower longitudinal arm - made of aluminum instead of steel which brings down the weight by 2lbs. That may not seem overly relevant in a bike weighing 635 pounds full of fuel but every pound counts. Consider that it's unsprung weight too and if you drop pounds on a bike that's the best place to do it. In the rear you've got the Paralever single-sided swingarm that incorporates final shaft drive. BMW’s new ESA II (Electronic Suspension Adjustment II) suspension is also available on the K 1300 GT as an extra cost option. This allows the rider to adjust the suspension at the touch of a button to optimize the suspension based on the load you're carrying; whether it's just you riding solo, solo with luggage, or you've got a passenger and luggage. These settings that are represented visually on the LCD situated between the conventional speedometer and tachometer by a single helmet, a single helmet with a suitcase, or two helmets with a suitcase symbol. Damping is user-selectable on-the-fly and at the push of a button you can ride in Sport, Normal, or Comfort mode to suit your riding style. Very useful features on a bike that will tempt you to seek adventure like the K1300GT will. Speaking of adventure, the 32-litre side cases offer generous amounts of storage and easily swallow up full-face helmet. The latching mechanism is easy to use and so long as you don't lock them you don't require the key to open the cases. The key releases the bags easily from the bike and the integral handle makes them easy to carry into your hotel room. The GT also comes standard with a locking glove box on the right hand side of the fairing to keep necessities close at hand. If you need more enclosed storage you can get an optional top box in 49 or 28-litre capacity. BMW's proven EVO brake system and BMW Motorrad ABS provide maximum safety, and the optional ASC (Automatic Stability Control) - which works together with the standard ABS to prevent rear wheelspin, and TPC (tire pressure control) give you extra peace of mind and control. The BMW Motorrad Integral ABS controls the front- and rear-wheels brakes through the handbrake lever, while the foot brake lever controls just the rear-wheel brake. Brake discs measuring 320 millimeters (12.6") in diameter up front and 294 millimeters (11.6") in the rear pull this bike down from speed in a hurry. A 24-litre fuel tank and BMW's claimed 5 L/100 km @ 90 km/hr OR 5.9 L/100 km @ 120 km/hr give this Gran Turismo a very respectable theoretical range of over 400 km's before needing to stop for refueling. Available in three colours: Red Apple Metallic, Royal Blue Metallic and Magnesium Beige Metallic. Base price is $21,825.00 but you can easily option that up by several thousand dollars. The fit, finish, build quality, and overall feel of this motorcycle help you to come to terms with that sticker price. This is a high quality motorcycle. If you're in the market for a sporty, comfortable, touring machine in a surprisingly nimble 1300cc package then you should most certainly check out the BMW K1300GT. I've had the opportunity to ride many bikes and this is one that I can honestly say ranks very highly on my list of bikes I'd like to own. It's practical, comfortable, and safe - but not at the expense of losing excitement. I thoroughly enjoyed this bike. BMW F650GS test ride - Getting more than you bargained for. No matter, I head on down to the shop hoping to get lucky and spot the new 650. I arrive at the dealership and look left, look right. 1098 S - saw it, SportClassic GT - saw it, X-Challenge - saw it, R1200GS - saw it. Cruisers - check, dirt bikes - check. No F650GS in sight. Guess I’m out of luck - Well, I’m here, might as well look around. I nod at the sales guy and say hello - we both know each other because of the frequency of my visits. I even have made friends with the shop dog – Waldo. Neither the sales guy nor me know the other’s name but I say; Just in for my regular visit; thought I’d stop in to see if the F650 GS (twin) was in yet. Should be arriving soon I imagine. “Hang-on” he says and heads off to the back room where he talks with a woman briefly behind a partly closed door. A minute or two later he’s out and says “C’mon out back - I’ve got something to show you.” I follow down the hallway and we end up outside at the back of the building. Sitting there amongst a few other bikes is a shiny new F650 GS, iceberg silver. I look it over carefully and we exchange some “great bike” comments. Of course I want to sit on it and see how it feels but always ask first. Turns out it’s a customer’s bike. All of the initial allotment the dealership received had been pre-sold. No sitting allowed. There’d be trouble if the owner came around the corner and saw me all over his shiny new machine! So no sitting – I have to make do with looking it over. Once I’ve had my fill we head back in the shop. I casually ask - thinking there’s not a chance! - So, do you guys offer test rides or have demo days? To which he replies, yes, we’ve got one on Saturday. What! You’re kidding me - that’s 2 days from now! *thinking* I really could have missed that whole event if I hadn’t gone in the shop, and if I hadn’t mentioned about the test rides I don’t think I would have found out about it either. I should mention that a recent, and temporary, move to Winnipeg from the east coast had me thinking a few months prior I might as well leave my gear on the east coast for when I return, no sense bringing it with me for a few short months. As soon as the words “test ride on Saturday” come from his mouth - It hits me. I have no jacket, no helmet, no gloves. The test ride is in two days! I only know a handful of people and none of them ride. Argh! Should I buy new gear? I’ve already got two pricy jackets and other equipment at home. Do I really want to shell out that kind of money and have to drag all that stuff across the country. No, I really shouldn’t. I’m highly tempted though and start thinking how I’m going to get my hands on some gear. I must go on a test ride! I head home and immediately send off emails to all the people I know asking if they or anybody they know has any equipment. I don’t even know many of the people very well. I play Ultimate with them once a week. I live in an apartment building and there’s one lonely Vespa in the parking garage. I even write a note and stick it to the seat begging if I can rent some gear from them. I’m a member of several motorcycle forums and so I post a note on one of them asking anybody if they have any gear that I can borrow or rent for a few hours. After many hours of waiting I finally get a bite on my request. “What size” I immediately reply back with some measurements and wait. I wait all Friday and no responses – it’s not looking good. I head off to bed thinking that I probably won’t get to ride. I mean what are the chances a total stranger will let me borrow their stuff. Not likely. Saturday morning arrives and I immediately turn on my computer to see if I’ve gotten any responses - nothing. I make one last post on the forum at 9:27 am and resign myself to the fact that I’m not going for a test ride today. I grab some breakfast, and head back to the computer to work on a few things. At 10:12 am I get an email from somebody from the forum; they’ve got some stuff I can borrow! I call the dealership immediately and the earliest test drive is at 1pm. I reserve a spot and email the forum reader to say I’m on my way over! I get to the fellow bikers place and try on the helmet (an MX style) - fits great. Gloves - good too. Jacket - he’s only got a summer one that I can use - no matter, I’ll put a windproof jacket underneath; that’ll be perfect. I say. Thanks! I head home finish off the coffee I left behind in my haste to track down the gear, grab a bite to eat and get ready to ride. It’s only about 5 degrees out so I put on a thermal layer and head on down to the dealership to be there for 12:30 pm. I make my way to the counter, sign my waiver, have my licence photocopied, and hand over my $20 cash. Now the fun starts! 1 o’clock rolls around and we head outside and get the scoop on the ride. It’ll be about an hour - we’ll get some town riding, and some highway riding. There are about a dozen of us including the lead rider and sweep rider in the back. He goes over the instruments briefly and the unique BMW indicator switch operation. He suggests that we turn on the standard heated grips - it’s a little chilly on the highway. We’ll be travelling with traffic - typically about 20 km/hr over the limit. But please drive only as fast as you’re comfortable he says. Now it’s time to board our machines. Somebody already snagged the flame red model so there’s two 650’s left for me to choose from. One is iceberg silver metallic the other is azure blue metallic. I want to get the standard height one if possible or the higher of the two at least. I take a look and decide on the silver one. Turns out that the silver one had the low seat option (a free option), the blue had the lowered seat and lowered suspension (the lowest of the bunch and a small additional cost). The red one was the standard seat and suspension model. So I got the slightly lower than stock version (a no cost lowered option). Notably, the lowest model didn’t have a center stand which is due to the height. The two other models had them though. The center stand is a $170 option. We start them up and I’m immediately struck by how different the new 650 feels and sounds than the previous 650 single. This new model is actually 798 cc and boasts 71hp. It’s a big jump up in power from its predecessor, which had right around 50 hp. Turning out of the parking lot and onto the road I fumble a little with the right turn signal. It seems small to me and not on the left like I’m used to. Canceling it proves equally challenging. I try not to look down but have to glance to hit the cancel button residing just above the right signal activator. They're under the bar and pressed with your thumb. Note: Just behind the keyfob is a powerpoint. So hooking up the GPS or other accessories should be a breeze! Working the signals continues to be an issue for me throughout the ride. I find that I can’t help but roll off the throttle trying to hit that right signal switch and the cancel switch. It’s not so bad when you're in an RPM range that doesn’t produce a big amount of engine braking when you roll off the throttle a little. But every time I pull away from a stop sign when making a direction change I’m not riding very smoothly. The ride takes us on a route that moves on fast city streets, a bit of highway time, and a road with a couple twists in it too. No hills really, this is Winnipeg after all; they were lucky to find a road with a few bends in it! The bike rides smoothly - the pavement is bumpy and full of dips and cracks after a long cold Manitoba winter. There are plenty of tar snakes as well. The bike handles all the bumps and road imperfections wonderfully. On my old Suzuki GS500 I would have had to brace my legs or risk bouncing up off the seat on some of the bumps we hit. I saw many cars heave up and down over the bumps in front of me. They didn't phase the 650GS at all. The F650GS was smooth, the suspension soaking up the bumps nicely. The seat is very comfortable too. The amount of cushioning is good; firm, yet soft enough to help soak up some bumps too. The seat position doesn’t drive you forward onto the airbox either. I was very comfortable the whole time. Note: The seats on each of the three models each have their own unique shape. This blue model was the optional low seat low suspension model, that comes at a additional fee, had the lowest seat and you can see a significant upturn in the seat near the airbox. The low seat option (silver bike pictured elsewhere in this article) has a curve but not as much. The regular height (red model in pictures in this article) has the least upturn in the seat. All were quite comfortable. The rider position is fairly upright, I had no pressure on my wrists at all. My legs had lots of room. The windshield is fairly short but it also wide. The steering has a wide 40 degree lock stop that when turned all the way almost touches the windshield - you wouldn’t likely find an after market windscreen that could be much wider than the stock model. The F800GS will have a lock stop of 42 degrees reportedly. I found that the wide but short m-shaped windscreen deflected the wind very well. I moved my head around a bit to see if there were any turbulent spots. I didn’t notice any. You’re in the wind unless you tuck your head down but had no buffeting problems. 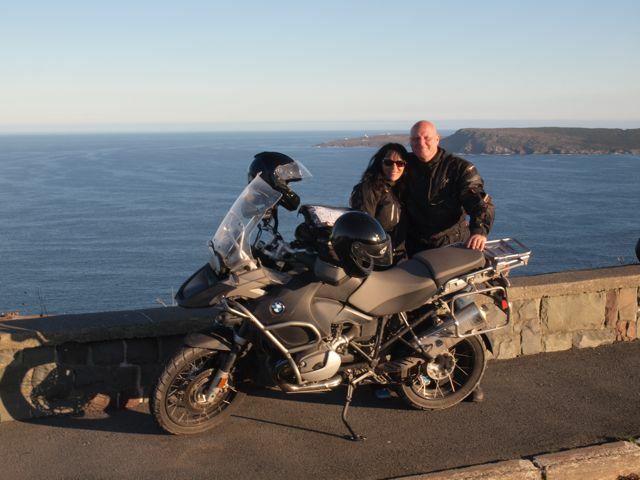 I’d previously ridden a 2002 BMW 650 Dakar for a ride around Cape Breton, NS. I think this new windscreen is an improvement over that model - at least for me. I had a really sore neck after only a few hundred km’s on the 02 Dakar. Still I’d be tempted to see what a slightly taller windscreen would do. My legs didn’t seem to get cool at all and I didn’t feel much wind on them. It was a bit windy at points and I had to lean the bike into it at times, it wasn’t raining out or wet for that matter but I think the wind was still a good test of the protection offered by the bike. There doesn’t seem to be much frontal area but the wind tunnel testing of the screen seems to have been effective. You’ll know you’re not on a full faired bike but it doesn’t feel like a naked either. Those standard heated grips were a welcome addition in the chilly conditions. I'd seriously consider some hand guards and protectors to keep even more wind off my hands (BMW offers this as an accessory). The mirrors are bit small but no smaller than the previous model they replace and they’re not vibrating nearly as much with this much smoother twin cylinder engine. You can actually see things if you have the mirrors adjusted properly! Both the speedometer and tach are sweeping analog. Personally, I prefer a big digital speed reading and an analog tach. I want to see quickly and relatively precisely how fast I'm going, particularly if I'm riding in a spirited manner. Analog sweeper for the tach is fine since I don't need quite so much precision there. To the right of the speedometer and tach you've got a big LCD display that comes with the on-board computer option ($215 option) that shows all sorts of useful information such as air temperature, gear currently selected, radiator water temperature, average fuel consumption, fuel level and current range, and a stopwatch. If you buy the optional tire pressure control (TPC) system that information is displayed as well. You toggle through the LCD display with an Info button on the left hand control. In this shot you can also see the big ABS button, horn, and left signal switch. So what about that engine you say! I’ll come right out and say this is a fantastic engine. While it’s no wheelie monster there is a substantial and very noticeable increase in power and smoothness in this engine. It sounds and feels a lot different. I was doing 140 km/hr at a couple points and the bike felt like it had plenty left on tap. The bike had about 2,000 km’s on it so it probably would be even better after a few more kilometers on it. Many of the bikes still had that new bike smell - like things were still getting heated off when you pushed them. This Rotax produced power plant has a huge, broad power delivery. As long as you’re in close to the right gear you’re going to pull away strongly and smoothly right up to near redline. I couldn’t feel any noticeable large surges in power at any point in the RPM range. It pulls evenly all the way up. The brakes on this machine are strong; It only took a gentle touch of the front to get slowed down pretty quickly. I can only imagine how quickly you could stop if you really put the binders on. The ABS would certainly help keep things under control. If you want ABS it'll cost an extra $850 and adds just 1.5 kg (or 3.3 lbs) to the weight of the bike. The bike has a dry weight of 179 kg (394 lbs); unladen weight road ready and fueled weight is 199 kg (438lbs). Unlike the old 650 BMW Scarver, this machine has a chain rather than a belt drive. It's an O-ring chain and features a chain guide rail that protects the aluminium rocker from damage. I think there is no question that this bike is going to sell well. At $8,990 there are going to be a lot more people driving BMW’s. Couple that price with BMW’s excellent level of quality and 3 year warranty and you've got an appealing bike. BMW want to attract more young people to the brand and appeal to a broader range of people. This bike should go a long way in achieving that goal. Now - it wasn’t all rosy for me with this bike, I mentioned it earlier but those signal switches were troublesome. I spoke to the sweep rider of my group ride and mentioned the difficulty I had and he said it’s pretty common with new BMW riders and that you get used to it. It just seems that leaving those controls on the left would leave the right hand available to work the throttle and the front brake. Two pretty important controls on a motorcycle. Why add the right signal and the cancel switch for both to the list of right hand side tasks? Why not move the ABS button over to the right. That’s a button that wouldn’t be a frequent use item - That would give a little space to rearrange the left controls and put all the signal controls in one spot on the left side. The signal lights on the instrument cluster were at the very bottom of the speedometer portion just above the tachometer. I found them a little hard to see – they weren’t quite bright enough - and the thick rounded edge of the tachometer hid them a little from my view as well. It was really at the lower edge of my peripheral vision. I suspect your ability to spot them would improve with familiarity but they’d be better if they were a bit brighter and maybe up slightly from their current position - in my opinion. The brake fluid reservoir is way up high on the right hand side like it’s being honored on a pedestal. It’s rubber mounted and was jiggling around like a bobble head doll. I found it a little distracting at first. I did get used to it pretty quickly and didn’t notice it too much at least. In the end I’d still say that despite the issues I have with the bike I still like it. The price, the engine, the warranty, the level of quality – it’s all top notch. The boost in horsepower adds some much needed excitement to the bike which was sorely lacking in its predecessor. The engine is a significant improvement in smoothness, power delivery, and feel; yet still very competitive with 650cc bikes in terms of the weight and size. So when you buy this 650 cc bike you're going to get a little more than you bargained for - you're going to get a 798 cc! An extra 148 cc! For more information on the F650GS check out the BMW Motorrad Canada website. If you turn on the TV at any given time, chances are you'll find a program about building a custom chopper, or maybe a sport bike race. Go into any dealership and look around on the sales floor no doubt there will be plenty of cruisers and sport bikes. But what if you want something that offers a little more flexibility? Can't afford to have multiple bikes in the garage? Well - the bikes in this comparison are the Swiss Army knives of the motorcycling world. They'll take you to the other end of the country just as easily as they'll take you to the corner store or the dirt road to the cottage. They're meant to do a little bit of everything. All-rounders are not too big, not too small. They're just right. Typically all-rounders offer a more comfortable seat than the hard, plank like, offerings of most sport bikes. A more upright seating position means you're not going to be in pain after a short ride suffering with aching wrists, back, and backside. Who needs that racing stance for the street? The engines of these all-rounders are mid-sized and geared for real world riding. They're not the peaky, high revving beasts that sound like an angry bee hive each time you twist the throttle. They offer smooth and linear power. Why overdo it with a 1600cc, heavy, torque monster of an engine when you can have a 650 or 800cc bike that will offer smooth usable power at a fraction of the weight and cost? Not to mention your likely insurance bill savings. Middleweight twins are often pegged with the unfortunate label of "beginner bikes" and so are sometimes overlooked by more experienced riders. Because many people think bigger is better and because of the usable and forgiving power these types of engines produce this label persists. It'd be a huge mistake to think these bikes are strictly for beginners though. The V-Strom's engine comes from the SV650, a bike that excels on the track. So don't let their "beginner rider friendly” labels fool you into thinking these bikes are only for beginners, they're not! We're going to take a closer look at the Suzuki DL650 V-Strom 650 aka the Wee-Strom, Kawasaki Versys 650, and the 2008 BMW F650GS (twin). 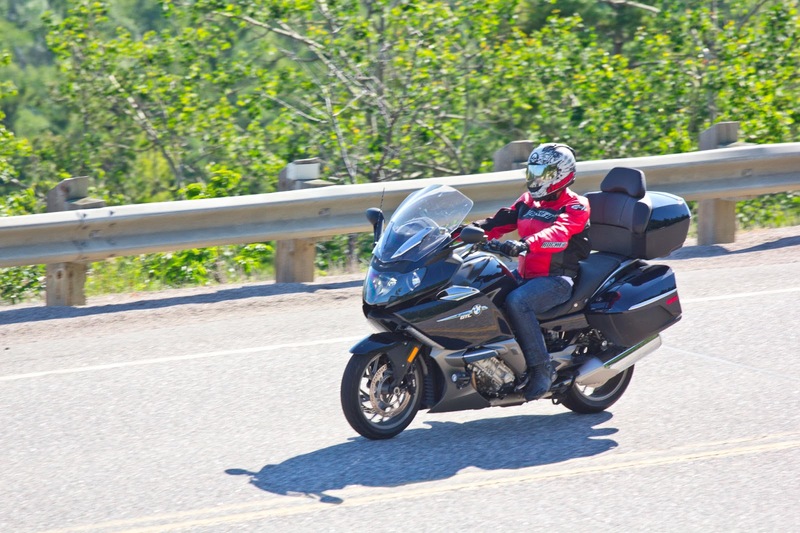 The V-Strom is the old timer of the lot having been around since 2004, the Versys was introduced in Canada in 2007, and the BMW F650GS is being introduced to Canada for 2008. Incidentally, the BMW actually uses a 798cc twin engine rather than a 650 in what is seen by many as a confusing departure from the commonly used industry naming conventions. Despite it's slightly larger displacement its weight and position in the market put it squarely in competition with the Strom and Versys. The Kawasaki Versys came to Canada in 2007 with a 649 cc liquid-cooled engine from the Ninja 650R but in a slightly retuned form for more low to mid range power. The name belies its purpose - Versys is short for Versatile Systems. US consumers were so enraptured with the Versys they sent emails in droves to Kawasaki (more than for any other motorcycle in US history according to Kawasaki) and the Americans got their wish; the Versys is on its way to 49 States (it doesn't meet California emissions unfortunately due to its lack of a charcoal canister. This is something that should be taken care of for 2009). They'll get to know what we in Canada already know about the Versys; it's a very capable all-rounder at a reasonable price. For some, the styling of the Versys is a matter of polarized debate. Some love it while others hate it. The front headlight looks a little like a mushroom with its bulbous top. For those with a more vivid imagination I think it looks like the symbol of the Marvel Comic character, The Punisher. It sure sounds a little better than saying it looks like a mushroom! Kawasaki states that the chassis was, “designed for the discerning enthusiast, the Versys’s riding position, engine characteristics, chassis balance and suspension settings were all selected to maximize rider exhilaration on the street”. The front suspension is a 41 mm Showa inverted fork that features 5.9 inches of travel adjustable for rebound and spring preload. In the rear you’ve got a gull-type aluminum swingarm to make room for the long travel rear shock at 5.7 inches and to increase chassis rigidity and rider feedback. The rear suspension is adjustable for rebound and spring pre-load. The chassis is strengthened in the rear to accommodate a passenger or to carry your touring luggage. At around 33 inches, the seat height is might be a little high for short in the leg folks. An optional seat can be purchased to lower the height to 31”, or 2 inches from stock. The engine in the Versys was designed to be compact and narrow. Kawasaki was using the engine in the European market in a bike called the ER6N before we saw it here in Canada. It could be likened to a naked version of the Versys. Despite its larger displacement, the engine is significantly smaller than the Ninja 500's because of the layout of the crankshaft and transmission shaft along with the semi-dry sump. This compact unit allows for a very narrow and compact profile. Stops are achieved with petal-disc design dual disc brakes in front with twin-piston Tokico calipers. A single-piston single disc handles the duties in the rear. The brake and clutch levers are adjustable for 2008. The wide handlebars and adjustable windscreen can be raised or lowered to three positions in 20mm increments make for a comfortable cockpit. You will have to get out the tools to make the adjustments though. The instrument panel is easy-to-read and informative, allowing riders to quickly scan the gauges for what they need and get their eyes back on the road. There’s a white faced analog sweep tachometer with a digital speedometer offering the rider plenty of useful information. You get speed, a fuel gauge, odometer, trip meters, and various warning lights. There are several available accessories including Givi saddlebags, optional windscreens, and a molded seat that is 2" lower (no price listed on Kawasaki Canada website while the US site lists it at US$439.95), 1" narrower and has a gel comfort layer. This accessory is sure to make this bike accessible to a wider range of riders. This high praise is not a one off opinion though; the Wee-Strom seems to get kudos from everybody who puts a leg over it. Motorrad online, a popular European motorcycle magazine, conducts exhaustive annual testing in the Swiss Alps with 22 bikes in what they call “Alpine King.” Most of the bikes in the test are a lot more expensive than the Strom. In two of the last three years the Strom came out on top! It beat out bikes from makers such as BMW, Ducati, Triumph, Honda, Suzuki, the list goes on. The Wee Strom possesses a middleweight engine taken from the popular SV650 that’s tuned to have a few less horsepower but a smoother power delivery. The Strom also features a final drive ratio lowered from the SV650 for improved low rpm performance. It’s a middle weight package that gives you around town versatility, sporty road performance, low seat height, good wind protection, all day comfort, and a fuel capacity to match. Season that mixture with rock solid reliability, a very reasonable MSRP, and tremendous after market support and you’ve got a winner. The DL650 may appear to have been struck with the ugly stick a few times when you look around the showroom floor at your local Suzuki dealership. That hasn’t stopped it from quietly building a huge and loyal fan base though. Some even come to love its looks. Imagine! Some owners have taken steps to beautify the Strom and make it more capable as a lightweight sport touring machine. Suzuki of Europe has an OEM sport screen available and JMV of France offers a lower fairing that really alters the look of the Strom. The windscreen is a bit smaller and substitutes in a dark shade for the clear stock one. You won’t want to explore the limits of the off-road abilities of the Strom with this setup though as it may quickly result in some costly damage to your shiny new plastics. The suspension of the Strom is a little plush and easily swallows up road imperfections that would cause grief for those riding a pure sport bike. On the Strom, you need not worry so much about road imperfections – a very good thing considering what widely fluctuating temperatures do to our Canadian roads; they’re often littered with bumps, cracks, ridges, and every other imperfection you can name. Dreaded tar snakes abound! The 43 mm front forks have adjustment only for pre-load. In back, the shock offers knob-adjustable preload, and a screw-adjusted rebound damping. Under hard braking the suspension dives a bit but should not come as a surprise at this price point. The suspension is more than adequate for most situations you’ll face. The narrow and purposeful fairing provides adequate weather protection. The windscreen can be manually adjusted for height but you’ll need some tools to do it. The seat is designed as a place you’ll find comfortable to spend some time in. It’s a nice width and will give you a good vantage point to see as much of Canada, and beyond, as your leisure time allows for. Wide bars are a comfortable reach away. If your ride extends into the evening you’ll light up the night with large multi-reflector 60/55W headlights. One of the other traits of the Strom that riders love is its off pavement ability. The Strom is listed under the “Street” category of Suzuki Canada’s website but “Dual Sport” on the US site. So it would seem the Strom leads a bit of a double life. While you won’t be entering any off-road races with the Strom it’s a capable off-pavement steed that will make short work of fire roads and rides to the cottage. The instrument cluster on the Strom is well designed with a compact step-motor speedometer, tachometer with LED illumination; plus an LCD display with twin trip meters, odometer, temperature gauge, fuel gauge, and a digital clock. A large rear luggage rack with rubber-padded platform will help keep bags and other gear in place. A big 22L fuel tank ensures you’ll get a long way from home before needing a fill up. The Strom features the largest fuel capacity of the three bikes. The BMW F650GS is a new bike that’ll hit the dealerships of Canada in May 2008. The folks down south in the US won’t get it until the following year. They’ll have the true 650cc single there for another year. Don't forget that in 2008 the version of the bike we'll have in Canada actually has a 798cc parallel twin, not a 650. It uses a detuned version of the engine that’ll be used in the highly anticipated F800GS (which won’t be available until fall of 2008 at the earliest reportedly). The focus for the F650GS is high torque at lower engine speeds coupled with excellent economy. It’s a great all-rounder, providing plenty of power and economy. The new bike looks typical BMW GS style; a bit utilitarian, but the fit and finish is fantastic. The headlight is a side by side unit with one a little smaller than the other. It’s a look borrowed from the larger and tremendously popular 1200GS bikes. In terms of wind protection the BMW seems to offer a relatively similar frontal area as the other two bikes. The windscreen is a wind tunnel optimized M-shaped design. The 16-litre tank is under the seat which lowers the center of gravity and has the added benefit of not getting in the way if you use a tank bag. The lockable filler nozzle is easily accessible on the right-hand side of the vehicle level near the pillion seat. It’s the smallest tank of the three bikes but should still provide an ample range for most riders. BMW wants this bike to appeal to, and fit, a lot of riders so they put some considerable effort into making the height of this bike comfortable for the majority of riders. There are three seat height options; you’ll be able to get a low suspension version (which incorporates the low seat too), a normal version with a lowered seat, and the normal seat height version. The lowered suspension option will cost a bit extra but the other lowered regular seat is a no-cost option. The regular seat height is 820 mm while the low seat is 790 mm. The Beemer delivers higher peak horsepower and torque numbers than its competitors in this article. This isn’t surprising given its 150cc advantage in displacement over the 650’s. The greater grunt comes at a slightly higher MSRP but along with that extra cash you not only get more displacement. The extra cash gets you a similarly sized package and BMW’s 3 year warranty; including roadside assistance. That’s 2 years more than these competitors. Neither Suzuki nor Kawasaki includes roadside assistance as part of their original warranty. BMW is pretty much by itself in the 800cc category. Nobody else offers one in Canada. The new 800cc twin engine used in the BMW is actually built by Rotax. Rotax is a subsidiary of Bombardier (which was started by Joseph Bombardier in Quebec) and build for many different companies. They make the new liquid cooled engine in the Buell 1125R for example. They also make engines for snowmobiles, watercraft, ATV’s karts, and aircraft. So it would appear that BMW chose the maker of its engine carefully. Brakes come in the way of single disc, 300 mm diameter double-piston floating caliper in the front and single disc, 265 mm diameter single-piston floating calliper in the rear. Switchable BMW Motorrad ABS is available as an option for an additional $850. Heated grips come standard on the F650GS in Canada. Some other nice to have options: on-board computer, center stand, theft alarm, tire pressure monitor system, hand protection bars, and a wide range of side, tank, and top cases. There’s plenty more accessories too if you want to push that MSRP up even higher. The on-board computer expands the range of information that can be displayed on the clear display on the combined instrument panel, adding the following details: tank display, gear display, coolant temperature, average fuel consumption, range, outside temperature and stopwatch time. A button on the left handlebar fitting allows the driver to switch through the displays and to select the information required. It is also used to operate the stopwatch. ** Estimates - Official information is not available from the manufacturer website. Edit (03/29/08) - Originally the table indicated the Strom came with a center stand. It's actually a $228.39 option (price does not include taxes or installation and may vary by dealer.). Appropriate corrections made in Conclusion section as well. The weight and size of the bikes are relatively similar with the Strom being the heaviest of the bunch. The BMW actually weighs 33 lbs less (without ABS) than the Strom, and 5 lbs less than the Versys. With a weight of 3.3 lbs, if you were to add the ABS option, the differential would drop and put the BMW pretty much even with the Versys. The BMW would still be a good bit lighter than the Strom even if ABS were added. You could even add on a center stand and it should still weigh less. Suzuki lists the cost of the optional center stand at $228.39 while BMW doesn't list a price for theirs on the Canadian site. Neither manufacturer provides a weight for the piece but it may be a useful option for either bike. The power advantage goes to BMW. With 71 hp it’s a little up on 67 hp estimate of the Strom we obtained and 8 hp over the Versys. The big difference comes in the form of torque. The BMW has a solid 10 lb-ft advantage over both the Strom and the Versys and it comes at only 4,500 rpm versus the Strom’s 44.3 lb-ft @6400 rpm, and the Versys’ 45 lb-ft @7,000 rpm. In the features department the Strom comes with the most at the lowest price. Your base MSRP of $8999 includes ABS. On the BMW, ABS will add an extra $850+ to the MSRP. The Versys doesn’t come with ABS or a center stand and neither feature is an option yet. ABS wouldn't be too difficult for Kawasaki to to add in the future (It's already available in Europe for an extra £400) but the underslung exhaust makes a centerstand a bit tricky. The BMW also has the advantage of coming standard with 3 years warranty with roadside assistance. Still, the comparably equipped BMW will likely set you back right around $9,840 so you’ll have to judge for yourself if the extra power and warranty are worth it in the end. At this price point the bikes juggle factors of price, performance, style, and versatility. Each of them make some compromises but all of them do a great job. I don’t think you’d go wrong purchasing any of these machines so long as you kept the intended purpose in mind. If you’re in the market for an all-rounder that you plan on keeping for a while and putting some miles on be sure to check out all three of these bikes! We recently had the opportunity to talk with Paul Germain, the owner of Wildwood Motorsports - located in Winnipeg, Manitoba. Wildwood opened for business in 1981 and in terms of motorcycles they’re a multi-brand dealership that sells BMW, Ducati, and Yamaha’s. I hadn’t spoken with Paul before but with a very short amount of time it’s easy to tell that he knows what he’s talking about when it comes to motorcycles. He’s got 30 years of industry experience; including working as a mechanic. When he’s not selling motorcycles and snowmobiles he can often be found out riding or racing them. I wanted to talk to him because I knew that he’d recently been to Faro, Portugal with the folks from BMW for a one day test ride. 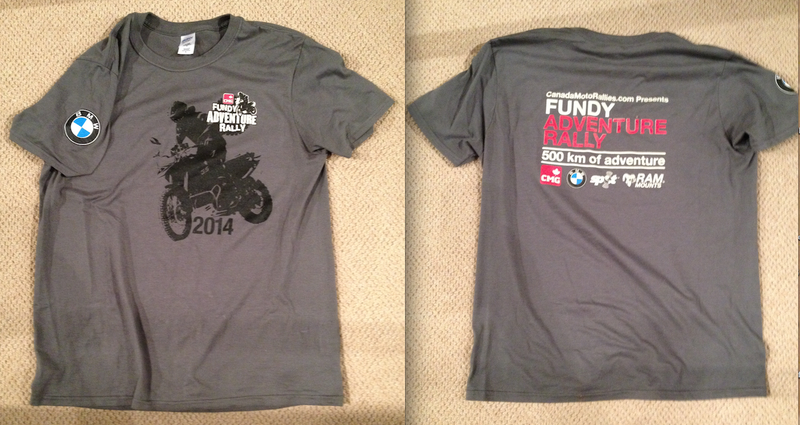 Incidentally, he’d also be to the Milan show in November where the F800GS was officially introduced. What was particularly special about the trip to Faro though is that he got to ride the new F650GS parallel twin and the F800GS. Just in case you don’t know about these bikes, the new F650GS twin is actually an 800cc bike that uses a detuned version of the engine that’s on the F800GS. Why did BMW call an 800cc a 650 you ask? Nobody I’ve talked to is sure really. Calling a 800cc bike a 650 is certainly a departure from the standard industry naming convention. In F650GS form, the engine makes 71hp and in the F800GS it makes 85hp. The F650GS twin comes to Canada in May 2008 but you’ll have to wait until September/Fall for the F800GS. Canadians are going to be the envy of American riders in 2008 because we’re getting the new F650GS twin before the US. The US won’t see the twin 800cc version of the F650GS until 2009. Instead, dealers in the US will be selling the old F650GS single models at a significantly lower MSRP than ever before. The singles days are numbered though and 2008 will mark the last year for the F650GS single. “The F650GS is a spectacular package! Although BMW didn’t have the old 650 single there for a direct comparison I can say based on my memory of riding the previous model that the new 650 is a much better road machine. It’s a much greater pleasure to ride than the old one. It’s smoother and loses nothing in off road ability to the old 650. At an MRSP of C$8990 and a 3 year warranty, this model is a home run. It’s a lot of bang for the buck. With 71hp it’s got a big power advantage over the old 650 which has about 50hp. The bike performs extremely well. The new bike not only looks fantastic but BMW have put a lot of effort into making the height of this bike comfortable for the majority of riders. They’ve got three seat height options; you’ll be able to get a low seat version, a normal version with a lowered seat, and the normal seat height version. It feels so thin and small that you’d never know you’re on a twin or that it’s an 800. The lower seat height and thinness of the bike make it really appealing. I can see this bike appealing to many people that might not have had the leg length for the previous version. Women and guys who whose legs were a bit short for the old model will be really happy with this new one. What’s the reason for the difference in pricing between the F650GS and the F800GS? I believe it’s around C$3,000? There are some differences between the F800GS and the F650GS; the F800GS is standard height, you’ll find it comparable in height to the old 650. The F800GS has got a bigger front wheel than the F650GS. Of course the engine has got quite a bit more power too. It’s got 85 horsepower instead of the 71 of the F650GS. They are not the same even though they look similar. There are some chassis differences between the two and the camshafts are different too. There are some other engine differences as well. You can see the specs online to see all the differences. * Originally quoted as Spain but looking at a trusty google map shows that Faro is actually in Portugal. Apologies to all. Why the delay with the F800GS? BMW didn’t really have too much to say about the actual reasons for the delay. They did simply say “Sorry”. One could speculate the reasons behind the delay of course. BMW motorcycles and many other motorcycle companies such as Ducati, and Aprilia all have agreements in place for some pieces. These companies don’t necessarily have the resources of larger motorcycle producers like Honda. The smaller producers' time from concept to market can be dictated by outside forces. The new 800cc twin engine being used in the F650GS and F800GS is a Rotax built engine. Rotax is a Bombardier brand and they’ve no doubt got a lot of pressure from many different parts of their business. So if anywhere along the supplier line there’s a bit of a delay, that delay means a delay in the release of a bike. BMW just had the bike in Milan in November to judge interest. 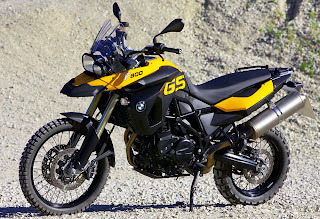 On the topic of BMW still but a different bike – What about the G450X? That bike won’t be available until September/Fall at the earliest like the F800GS. We didn’t get to ride that one but they did bring some to show us. They had brought in four expert class riders and had a motocross track set up across from the hotel, complete with some huge jumps. They even had a race to showcase the bikes on the track. It’s a really, in my words, “unorthodox” frame concept. You don’t see too many tubular stainless steel motocross bikes. They do seem reliable though. It’ll use a KYMCO produced engine. BMW built it to be a winner and it’s already been successful in some races. I ended the conversation with a “thanks” to Paul for his insight and thoughts on the new bikes. That concludes the discussion we had with Paul but we’ll move on to discuss some more details about the new models and some of the differences between them. Paul spoke very highly of the three models we spoke about (F650GS, F800GS, and G450X) but gave particularly glowing reviews of the F650GS. I get the impression that he believes folks shouldn’t necessarily wait for the F800GS to come. I can see his point. If you're not going to be doing serious off-roading the F650GS should be plenty capable. Be honest with yourself and what you'll be using the bike for. If you're like most people the F650GS is going to suit you just fine. In the end it’ll be up to consumer, but I think the F650GS is a worthy successor to the old 650 and it’s well priced. If you think back to just last year a 650 Dakar model would have had an MSRP in the C$11,000 range. The new F650GS gives you a lot more power and an MSRP of only $8990; a real bargain seemingly. That gets you the 3 year warranty complete with roadside assistance. A 3 year warranty is pretty uncommon in the industry and BMW bikes are known for their reliability, dependability, and broad dealer support. In short, I came away excited about the F650GS. It should rightly bring a lot of people in to the dealerships; some of whom may not have considered BMW in the past. So, if you’re in the Winnipeg area, head over to Wildwood to talk to Paul or some of the staff. You might even want to use some of that $3,000 + tax you’re going to save by buying the F650GS on some accessories that’ll make it even more enjoyable to drive. Maybe a 2kg saving Akrapovic slip-on silencer, some hand protectors, under-body protection bars, and engine protection bars. Sounds pretty good to me! More Information on the Bikes and their Differences! The target market for the F650GS is people who might not need quite as much off-road ability as the F800GS. It’s a great all-rounder, providing plenty of power and economy. It’s the ideal machine for everyday use. It features slightly less spring travel, a lower seat height, lower weight (8kg), and slightly reduced engine power. The focus for the F650GS is high torque at lower engine speeds coupled with excellent economy. The F650GS comes with cast metal wheels and lower ground clearance which indicate an on-road bias. The cast metal wheels are slightly lighter than the spoked wheels so they're advantageous for street use. The reduced power and modified valve timings means there is no need for a secondary air system on the F650GS because fewer un-combusted gases enter the exhaust system and it meets tough Euro 3 emissions requirements as is. The F 800 GS is fitted with a secondary air system which, in combination with the regulated catalytic converter reduces emissions down to Euro 3 requirements. The engine differences also mean that you can use regular 87 octane fuel with the F650GS as opposed to premium with the F800GS. You’ll be able to use lower octane in the F800GS but it will require a software tweak that is easily reversed. The change increases fuel consumption slightly and drops the hp rating by 2 ponies. * Note: In the information provided by BMW it indicates in one place that both bikes feature conically shaped vibration absorbing aluminum bars and then in another place indicates that only the F800GS has aluminum bars; the F650GS is said to have steel bars. The Spec sheet on BMW Motorrad Canada doesn't provide details on the bars so you may want to confirm with the dealer a little closer to launch date exactly which one it is. Because BMW knows that people may take the F650GS or the F800GS off-road they needed a secondary drive that was not sensitive to dirt. Both GS models therefore have an O-ring chain. A chain guide rail protects the aluminium rocker from damage. Seat heights of 880 or 850mm available for the F800GS. Heights of 820 or 790mm are available for the F650GS (and 765mm with lowering kit). The new GS models have a vibration-absorbent handle-bar that is made from conically shaped aluminium tubing. In the case of the 800 model, it features folding, wide steel footrests with hollow-chamber rubber surfaces. The rubber surfaces can also be removed if necessary to improve the ability to stand securely in the footrests off-road. The GS is also a nice place for a passenger to spend some time too. The seat length and footrest position allow the passenger to relax, while the long side-holder brackets at the rear provide a nice secure place to grip. The higher wind-screen on the F800GS can also be mounted on the F650GS. Both windscreens are a wind tunnel optimized M-shaped design.The 16-litre tank is under the seat which lowers the center of gravity and has the added benefit of not getting in the way if you use a tank bag. The lockable filler nozzle is easily accessible on the right-hand side of the vehicle level near the pillion seat. According to BMW, there will be some special equipment and accessories available for both models. - A wide range of side, tank, and top cases. - Link to BMW Motorrad Canada. The BMW F800GS is coming! This is the bike a lot of people have been waiting for! BMW currently has the 650 single Dakar model which will be dropped and the 1200cc horizontally opposed flat twin cylinder boxer engine GS's. Adventure bikes can be thought of as the SUV of the motorcycle world but with a lot better fuel economy! They're capable of doing some (or a lot) of off roading; many owners will not truly test their off road abilities but these BMW machines have proven themselves off road on countless global adventures. They're also at home on the street too. So if want a bike that can do it all or perhaps consider yourself a bit of an adventurer this might be the bike for you! The F800GS is a middleweight bike that very nicely fills the gap in BMW's lineup between the F650GS and the monstrous but highly capable 1200 GS and GS Adventure. The engine of the F800GS is based on the same parallel twin as the F800S and F800ST released as 2007 models; it is 798 cc and in the GS produces 85 hp. BMW claims a weight of 207 Kg (or 456 lbs) with fuel and other fluids. It features a steel trellis frame (to see a description of various frame types this link offers a good explanation ), inverted forks, and a two-sided swingarm. It uses a chain final drive rather than a belt or shaft. - 4.2 gallon (16 liter) under seat gas tank keeps the center of gravity low. * I was at the BMW dealership today (Nov 24/07) and was told that the "650 will start using a two cylinder engine and the current 650 single will be dropped." I've read the new 650 (twin) will have a little less power at 71 hp than the F800GS at 85. But 71 hp is a nice jump up from the 650 single. BMW's website says that the 650 GS actually uses a 798 cc engine - same as the F800GS. But in the 650 it makes less power.